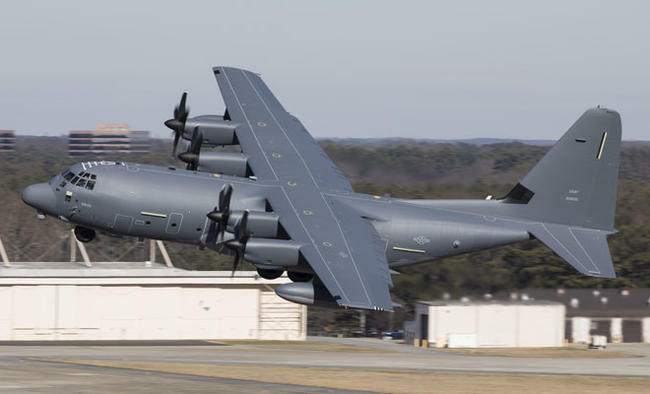 MARIETTA: Lockheed Martin (NYSE: LMT) reached a major milestone with the delivery of its 400th C-130J Super Hercules aircraft on Feb. 9. This Super Hercules is an MC-130J Commando II Special Operations aircraft that is assigned to the U.S. Air Force’s Special Operations Command (AFSOC). The C-130J Super Hercules is the current production model of the legendary C-130 Hercules aircraft, with operators in 17 nations. To date, the global fleet of C-130Js has surpassedmore than 1.7 million flight hours supporting almost any mission requirement — any time, any place. The C-130J is defined by its versatility. To date,the C-130J supports 17 different mission configurations to include transport (military and commercial), firefighting, search and rescue, Special Operations, weather reconnaissance, and aerial refueling. The U.S. government operates the largest C-130J Super Hercules fleet in the world. This delivery represents the U.S. government’s continued transition to the C-130J as the common platform across Air Mobility Command, AFSOC, Air Combat Command, U.S. Coast Guard and U.S. Marine Corps. The Air National Guard and Reserve still operate a mixed fleet of C-130J and legacy aircraft.